From 1897 to 1929, Sister Justina Segale, a Cincinnati Sister of Charity, kept a journal of the activities of the Santa Maria Institute, a Catholic settlement she founded with her biological and religious sister, Blandina. When they began the Santa Maria, the sisters had recently returned to Cincinnati following thirty years of teaching in Ohio, Michigan, and the Southwest, where Blandina nursed a member of outlaw Arthur Pond’s gang back to health after a shooting. In Cincinnati, the two confronted Protestant proselytizers and struggled to raise funds for their work in an impoverished immigrant community. Sisters Justina and Blandina nevertheless undertook a surprising array of projects. They visited the city’s workhouse, jail, hospitals, and families in tenements, recording their encounters with poverty, illness and injury, and family conflicts. Particularly interested in the welfare of girls and young women, Justina and Blandina encouraged education to prepare them for economic independence and even visited a prostitute whom they offered the opportunity to learn skills to find “honest” employment. They taught catechism classes for Italian children and tutored adults to prepare them for confirmation. The sisters also taught English and other skills to acculturate immigrants; during World War I the Santa Maria joined other social services in offering Americanization classes. In the 1920s, the settlement purchased a Model-T Ford, which Blandina (in her seventies) learned to drive, thus expanding the scope of the sisters’ work and defying stereotypes of Catholic sisters and of older women in general. Sister Justina’s journal is a day-to-day account of the sisters’ response to urban industrial conditions in the Progressive Era. It provides unique insight into the experiences of American Catholic sisters who had a long tradition of both preserving the faith and providing social services to Catholic immigrants but left few records of their work. In contrast, Jane Addams’s classic account of the Chicago settlement she founded, Twenty Years at Hull House, is one of the most well-known accounts of women’s pioneering role in social reform and the development of the new female profession of social work. Addams explains the lessons she learned living in the city to other Americans equally unfamiliar with the urban environment. Sister Justina’s journal offers an alternate perspective because Catholic women religious frequently had more in common with the ethnic and working-class experiences of those they served than did middle-class, Protestant Progressives. Justina and Blandina, for example, were Italian immigrants themselves and had grown up working in their father’s fruit stand. Moreover, while non-Catholic Progressive models influenced them, Catholic settlements like the Santa Maria were distinctive because they linked an emphasis on preserving the faith of Catholic immigrants to concern for the harsh material conditions facing them. The Santa Maria Institute was part of an emerging network within national Catholic social welfare, as Blandina and Justina were aware of and engaged with the growing professionalism of social work at universities like The Catholic University of America. Moreover, the tone of Justina Segale’s journal goes beyond the typical convent chronicle or annals. The pages of the journal are filled with the sisters’ faith in their mission, dedication to their religious congregation, frustrations, joys, and sorrows. In order to understand Justina and Blandina’s vision for the Santa Maria, it is helpful to understand the historical framework in which their efforts took place. American Catholic sisterhoods had a long history in Europe. Historically, Catholic nuns lived secluded lives in their convents and monasteries, devoting themselves to lives of prayer and sometimes to operating schools or hospices within the confines of their dwellings. It was not until the seventeenth century in France that a different, active model of service to the poor developed. Vincent de Paul, a priest credited with creating organizations to address the social needs of the people, gathered a group of young peasant women and formed them to become the Daughters of Charity. These women created a lifestyle and way of ministering subsequently emulated throughout the world. In the early years of the American Republic, there were few Catholics and only a small number of Catholic Sisters. 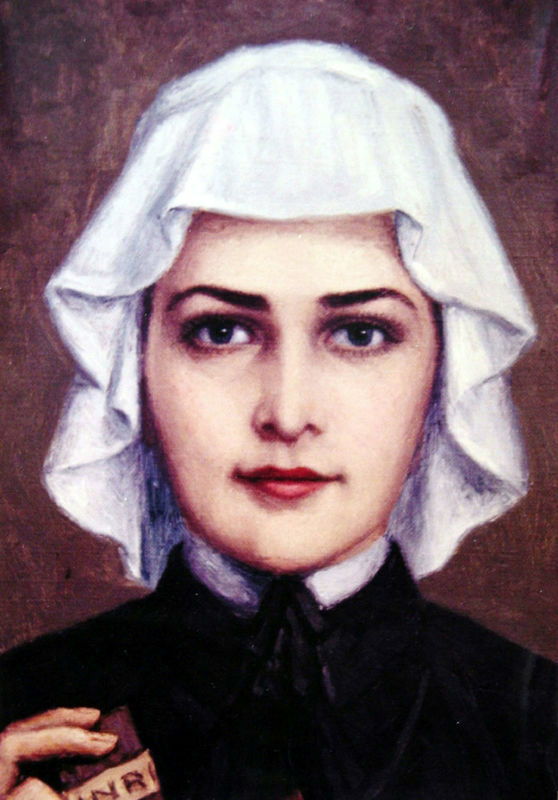 Elizabeth Bayley Seton founded the first active community of sisters in the United States, the Sisters of Charity, in Maryland in 1809. Born in New York on August 28, 1774, Elizabeth Bayley was a child of the American Revolution. Coming from a prominent and respected Episcopalian family, she could look forward to the comforts and advantages of the gentry. As she neared the age of twenty, Elizabeth married William Magee Seton, heir to a prominent shipping business. While a young married woman, Elizabeth was among the founders of the Society for the Relief of Poor Widows with Small Children, the first benevolent society founded and run by women in the United States. Elizabeth and William Seton had five children during the first eight years of their marriage, but economic difficulties and William’s declining health cast shadows over the family. In a fruitless attempt to rejuvenate his health, they traveled by sea to Italy in 1803, but William died while there. Elizabeth Seton served as Mother of the community headquartered in Emmitsburg, a rural Maryland village, until her death in 1821. Westward expansion as well as rising numbers of Catholic immigrants from Germany and Ireland before the Civil War created a high demand for the Sisters’ skills in education, health care, and the management of orphan asylums. From Emmitsburg the community sent Sisters to cities and small towns across the United States, including Cincinnati, Ohio. When the Sisters first came to Cincinnati in 1829 they cared for orphan girls and operated a girls’ school. Later they opened hospitals, cared for orphan boys, nursed in the Civil War, and went to the New Mexico and Colorado Territories to provide every kind of service in this raw and unsettled land. The Cincinnati Sisters of Charity separated from the Emmitsburg order in 1852, but maintained the purpose and outlook of its founder, illustrating the historical continuity and significance of Catholic religious orders. In addition to assisting struggling immigrant Catholics, the Sisters of Charity and other religious communities offered women avenues for expressing their religious faith and addressing social needs outside of the domestic environment. As they built and operated these sorely needed educational and social welfare institutions, often with few material resources, the Sisters of Charity, developed skills as teachers, nurses, and managers. Catholic sisterhoods also opened positions of leadership to members appointed to head hospitals and schools or elected superiors within their orders as they gained experience over lifelong careers. While Protestant and Jewish women provided similar services and engaged in political and social welfare activities, Catholic sisters, including the Sisters of Charity, had lifelong, formal careers recognized by their co-religionists and nurtured by the patterns and traditions of their communities. Growing up in Cincinnati, Ohio, Justina and Blandina (baptized Maria Maddalena and Maria Rosa, respectively) Segale were educated in schools run by the Sisters of Notre Dame, the Sisters of Mercy, and the Sisters of Charity. Their father, Francesco, was an illiterate peasant, and their mother, Giovanna, a foundling born in a small mountain village near Genoa, Italy. 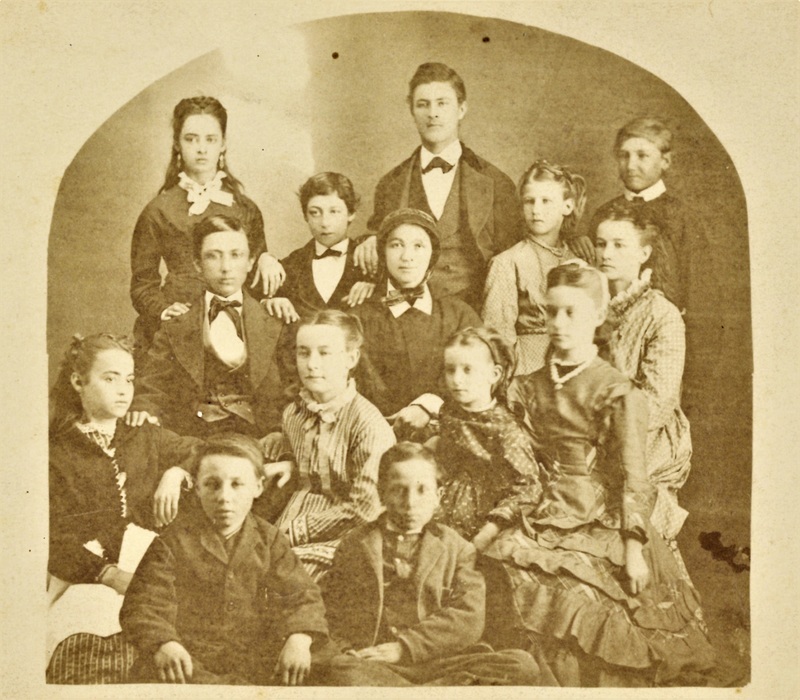 Following dreams for a better future, they immigrated to the United States in 1854 with their five young children. Settling in Cincinnati, they experienced the extreme poverty and struggle of newly arrived immigrants. While their father ran a fruit stand, which eventually grew into a shop, their mother saw to their home. By the time both young women joined the Sisters of Charity in 1866, they had completed their studies, and after an initial preparation period, both were sent out to teach. Sister Blandina spent more than twenty years on missions in Colorado and New Mexico. She recorded her adventures in letters and diaries, which were eventually published as a book titled At the End of the Santa Fe Trail. Her humorous, heartwarming, and hair-raising stories include personally tearing down and building new schools, encounters with Billy the Kid, begging trips to mining and railroad camps, and fighting for the rights of Native Americans. She returned to Cincinnati after she was fired by the Trinidad, Colorado school board from the school she had founded because she refused to teach in secular clothing, preferring the distinctive habit of the Sisters of Charity. Blandina resisted the board’s decision directly and publically, and based her argument on her Constitutional rights to free speech and religious freedom. Her outspoken defense of her principles, ability to imagine and build institutions, and her adventurous independence were visible in the new roles she assumed among Cincinnati Italian Americans. Sister Justina also spent nearly thirty years as a schoolteacher, including fifteen on frontier missions in Trinidad, Colorado, and Albuquerque, New Mexico. Already fluent in English and Italian, she learned Spanish as well. During the 1890s, while working in Lansing, Michigan, she became interested in the welfare of blind students at Michigan State University. Learning Braille so she could write out prayers and religious instructions for them, she championed the introduction of Catholic Braille books into the university library. The Sisters’ activism was an expression of their spirituality. They saw themselves as carriers of the vision of Vincent de Paul and Elizabeth Bayley Seton. “The Love of Christ Urges Us!” was their Sister of Charity motto, and the Sisters were anxious to respond to the needs of those around them in a Christ-like manner, as their founders had done. Returning to Cincinnati, both women had worked for decades, but they were far from retirement. 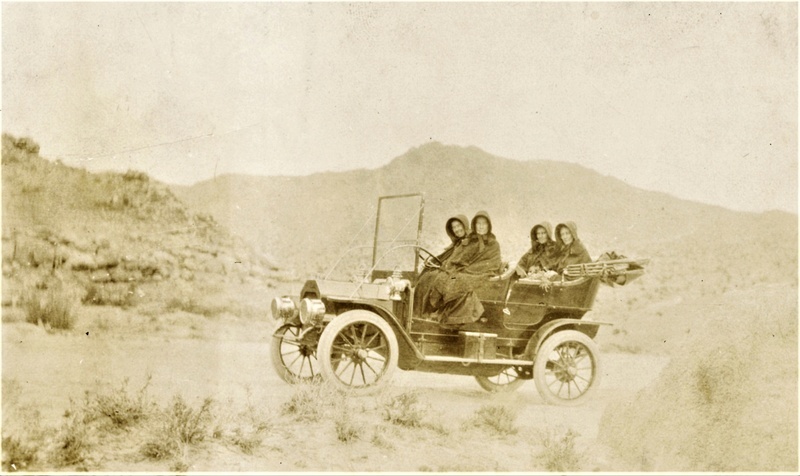 Sisters of Charity tour the order's missions in the Southwest in 1906 included Mother Mary Blanche Davis and future Mother Superior, Mary Florence Kent, who later directed the sisters not to ride in open cars. Such restrictions were often ignored in practice. Few Italians lived in Cincinnati when the Segale family arrived in the mid-nineteenth century, and most Cincinnati Sisters of Charity, like most Catholics in the city, were Irish or German. Though proud of their northern Italian heritage, Sisters Justina and Blandina were comfortable in their ethnically heterogeneous community. 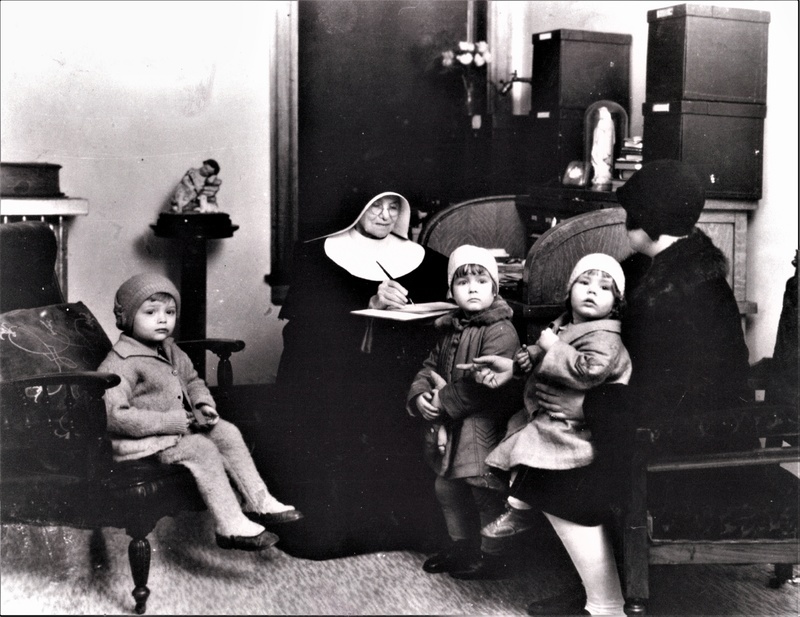 As poor southern Italian immigrants began to settle in Cincinnati, the Sisters of Charity were eager to respond to their needs. Partly because of their Italian roots, Sisters Justina and Blandina Segale were called upon to take up this work of caring for newly arrived Italians. They were also concerned that Italian immigrants in the new American environment would lose their religious and cultural identity. The sisters’ pride in their Italian heritage and their strong faith in the rightness of Catholicism often came through in their dealings with Italian immigrants whom they perceived as ignorant of their Church’s teachings. Justina and Blandina often expressed sympathy with the economic plight of Italian immigrants, but also frustration with their “ignorance.” Consequently, they waged a battle with Protestant missionaries who they believed preyed upon the Italians’ lack of formal religious education. Their earliest work with Italians in Cincinnati was to teach confirmation classes to immigrant children whom the Catholic Church believed were vulnerable to the proselytizing efforts of Protestants, a problem Catholics called “leakage.” Justina and Blandina met the challenges of boisterous urban children, competition from Protestants for the religious loyalty of the immigrants, and a constant shortage of funds with Christian faith and enthusiasm for the excitement of urban life. Their work expanded to meet new needs as the Sisters encountered them, and the settlement they established, the Santa Maria Institute, became a flourishing neighborhood center. Sisters were familiar figures to Catholic immigrants. In fact, Jane Addams, the pioneer Progressive founder of Chicago’s Hull House settlement, noted that her immigrant neighbors treated her as if she, too, were a Catholic sister. It is not surprising that Cincinnati Italians quickly identified the Santa Maria as a resource, not only for spiritual, but also for material needs. Italian immigrants, often anticlerical, were suspicious of the motives of priests, who in Italy were seen exclusively as the source of the administration of the sacraments. Furthermore, Italians saw no reason to contribute to church-building efforts as the state was responsible for financial support of the church in Italy. In the United States, Catholic sisters escaped these attitudes, and Sisters Justina and Blandina as Catholic sisters had the added advantage of being Italian, hence they were uniquely poised to understand the specific problems related to the Italian migrant population. They were, however, from northern Italy and most of the immigrants they sought to aid were from southern Italy and Sicily. Blandina and Justina had steadily worked to prove they were trustworthy. To prevent further distrust, when they visited Italian neighborhoods they were often accompanied by girls and young women staying at the Santa Maria who could attest to the virtuous motives of the Sisters of Charity. Once trust was gained through good works and kind words, immigrants brought family disputes, medical problems, and cultural conflicts with other ethnic groups to the Sisters. Sister Justina’s journal presents unfamiliar angles of vision on urbanization, immigration, and social service, inviting us to re-evaluate some of the organizing concepts historians have employed to explain female activism in the Progressive Era. Sister Justina exposes the poverty and dislocation of recent immigrants as well as the rich cultural exchange of languages and customs in the Progressive-Era urban environment. She was a sensitive observer of hardships facing the residents of the early twentieth-century city, but she also recognized the humor, drama, and courage visible in the daily interactions occurring in and around the Santa Maria. Moreover, as an effective administrator and fundraiser, Sister Justina reveals her strategies for garnering support from both Catholic and secular sources, and offers incisive analyses of the similarities and differences between her own religious approach to poverty and social problems and the approach of secular professionals. Many Americans, even social workers, were uneasy about what they perceived to be the “alien colonies” of immigrants in urban neighborhoods. It is not surprising that despite their good intentions, non-Catholic settlement workers often assumed that urban immigrants’ ethnic, religious, and class identities were problems to be solved by assimilation. It is more surprising that Catholic laywomen, who had experienced the sting of nativism themselves, could also be judgmental, even condescending, to those they endeavored to assist. In some instances, this was because women who perceived their Irish Catholicism to be normatively American wanted more recent immigrants to assimilate into a culture as distant from their own as Anglo-Protestant America. Younger Catholic laywomen seeking to prove their professional social work credentials also tended to distance themselves from their immigrant clients. Justina and Blandina shared the Italian identity of the Santa Maria’s neighbors and had experienced the privations of urban immigrant life. The sisters seemed equally comfortable with Syrians and Poles, and dealt effectively with Jews as well as Protestants (as long as the latter were not attempting to proselytize among Catholics). 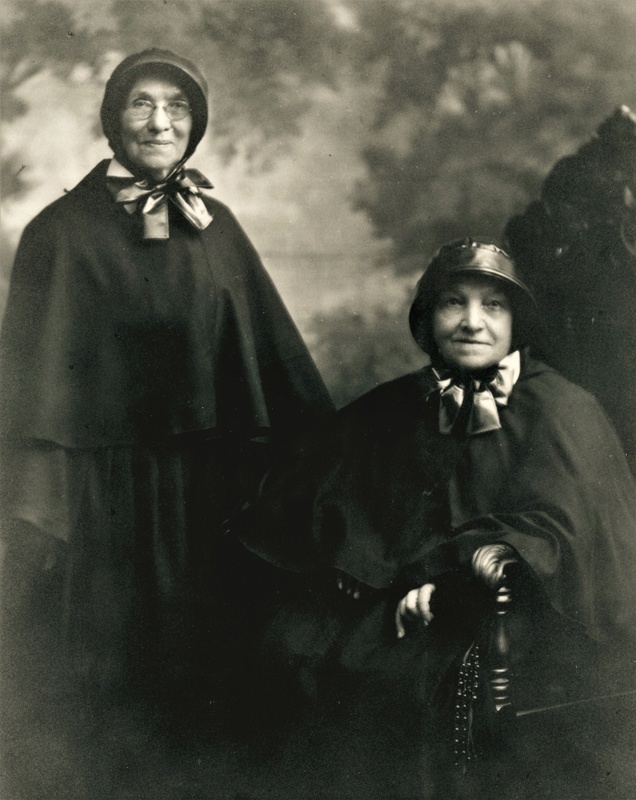 Perhaps the sisters’ openness sprang not only from their experiences growing up amid the diversity of nineteenth-century Cincinnati but also from having lived their adult lives in a multiethnic religious community that explicitly forbid ethnic exclusion. The sisters’ sense of inclusiveness also shaped their approach to social work. Since the early nineteenth century American women religious had established a pattern of overcoming economic, environmental, and social difficulties to serve the needs of an expanding Catholic population. Both Sisters Blandina and Justina had spent over three decades working (separately) in the American Southwest with American Indians and Hispanics and had experienced the hardships of frontier life. The Santa Maria simply extended the same concrete, practical response to the needs of the poor that had long characterized American Catholic sisters. Scholars have argued that sisters were practical rather than theoretical, wielding cultural influence by their actions rather than by developing a “public voice.” Both because of their spiritual calling and their focus on immediate needs, the sisters focused on individuals rather than systemic reform. One result was that they had little interest in judging differences among groups, as did the professional and secular advocates of “scientific charity.” Living out a time-honored religious vocation, they were not invested in measuring distinctions between the deserving and undeserving poor, an element of social work as a profession for laywomen, Catholic and non-Catholic. Sister Blandina with Friends at the Santa Maria Institute, 1934. Some historians have stressed that Progressive Era women involved in benevolence and reform relied on women’s maternal roles. Although Sister Justina also believed that women and men had fundamentally different natures, the formally-defined roles of women religious and their female-led communities in the Church did not depend on domesticity or motherhood for legitimacy. Moreover, like other settlements, the Santa Maria derived much of its energy and direction from the fact that it was women-centered community, and the sisters were especially concerned with the problems confronting poor, urban girls and women. Having grown up in an immigrant family where everyone was expected to contribute to the family economy, and familiar with the pressures and temptations confronting young women in the urban milieu, Justina sought to educate immigrant daughters so that they could support themselves. One effort was creation of a residence for girls and young women. By the 1920s younger girls were sent to the Catholic St. Joseph’s Orphanage and only teenagers remained in the Santa Maria’s residence. While the Sisters expected good behavior from the young women, they also respected their independence and encouraged them to plan for the future. Sister Justina was aware that limitations on women’s ability to earn or control their wages made them vulnerable to domestic violence and to prostitution. In order to fulfill her mission as a member of a religious community, Sister Justina had to manage money and act as a professional teacher and social worker —although that term was not applied to her work until late in her career. However, she was sympathetic to the difficulties facing women who lacked such occupational and financial skills. Unlike so-called new women struggling against domestic ideals in order to achieve personal independence, Sister Justina did not imagine that wage earning and domesticity were mutually exclusive. She or the sisters encouraged those with religious vocations to enter Catholic sisterhoods, and also offered culinary classes as well as preparation for careers in developing Progressive social services to others. The Santa Maria organized its own public health nurses, called “White Cross Nurses,” and arranged for young Catholic women preparing to become social workers to take classes in sociology at Cincinnati’s Xavier University. Sisters Justina and Blandina Segale and the other workers of the Institute created a strong social and cultural support system to prevent Italians from frequenting secular or Protestant organizations. Yet they believed it was possible to maintain Italian religious and cultural identity and at the same time absorb American political values. The Santa Maria participated in Americanization, or the process by which immigrants became American, but it was not the first priority of Sisters Justina and Blandina. By the early twentieth century, concern for boys and juvenile delinquency motivated social welfare workers to provide healthy and moral organizations to keep boys off the streets and out of gangs. The Santa Maria Institute, like many other social welfare programs offered clubs for boys and girls, like the Scouts, for this reason, but also to prevent children from going to non-Catholic entertainments where they might lose their Catholic faith. By the end of the nineteenth century, anti-Catholic sentiments lingered among many Protestant Americans and they believed that Roman Catholicism was antithetical to an American identity. The onset of World War I exacerbated already growing tensions over immigration restrictions. When the United States entered the war in 1917, the government and private citizens demanded 100% American identity and loyalty. Many immigrants, however, had not “declared their loyalty” to the U.S. by becoming citizens. In the case of Italians, many continued to sojourn back and forth between the United States and Italy. Following the war, the U.S. and local governments sponsored Americanization programs to encourage immigrants to become citizens and adopt “American” ways. In Cincinnati these efforts were coordinated by an organization called the American House. For many who participated in the American House in Cincinnati, part of being American meant becoming Protestant. Sisters Justina and Blandina participated in the American House Americanization effort, but they had reservations about the motivations of their fellow Americanizers. Arthur Pond was also known as William LeRoy and, somewhat confusingly, as “Billy the Kid.” He was not William Bonney, the well-known outlaw of the same name. “Sister Blandina and the Original Billy the Kid – The American Catholic.” Accessed May 31, 2017. http://the-american-catholic.com/2012/10/12/sister-blandina-and-the-original-billy-the-kid/. Robyn Muncy, Creating a Female Dominion in American Reform, 1890-1935 (New York: Oxford University Press, 1991). Recently, Kathleen Sprows Cummings has analyzed the relationship between Catholic women and the ostensibly more independent new women of the early twentieth century in New Women of the Old Faith: Gender and American Catholicism in the Progressive Era, Chapel Hill: University of North Carolina Press, 2009. Sisters of Charity Council Book 1813-1829, Council Minutes August 14, 1814, Archives Province of St. Louise, Emmitsburg, Maryland. Segale, Blandina. At the End of the Santa Fe Trail. [Columbus, O: The Columbian Press), 1932. Rudolph Vecoli, “Prelates and Peasants: Italian Immigrants and the Catholic Church,” The Other Catholics, Keith P. Dyrud, Michael Novack, and Ruldoph Vecoli, eds. (New York: Arno Press, 1978), 241. For examples, see Yoosun Park and Susan P. Kemp, “’Little Alien Colonies’: Representations of Immigrants and Their Neighborhoods in Social Work Discourse, 1875-1924,” Social Service Review 80, no. 4 (2006): 705-34; and Kate Bradley, “’Growing up with a City’: Exploring Settlement Youth Work in London and Chicago, c. 1880-1940,” The London Journal, 34, no. 3 (2009): 285-98. Deborah A. Skok, More than Neighbors: Catholic Settlements and Day Nurseries in Chicago, 1893-1930, DeKalb: Northern Illinois University Press, 2007, 82-83. Jeanne Petit, “What Challenges Did Secretaries of the East St. Louis National Catholic Community House Face in Their Social Work with Immigrants, 18=918-1922?” in Kathryn Kish Sklar and Thomas Dublin, eds., Women and Social Movements in the United States, 1600-2000, accessed through Xavier University Library at http://asp6new.alexanderstreet.com/was2/was2.object.details.aspx?dorpid=1003268930 accessed 15 September 2011. Carol K. Coburn and Martha Smith, Spirited Lives: How Nuns Shaped Catholic Culture and American Life, 1836-1920, Chapel Hill: University of North Carolina Press, 86-99. Coburn and Smith, Spirited Lives, 222. Mary Beth Fraser, “‘Devoted to the Interest of the Italians’: The Sisters of Charity and the Santa Maria Institute in Cincinnati, Ohio, 1890–1930.” Ph.D., The Catholic University of America, 2006. http://search.proquest.com/pqdt/docview/305365459/abstract/148890DA51BD4654PQ/1.